Chamonix's skiing extends over 3 main areas : Brévent/Flégère, offering south-facing slopes and exceptional views of the Mont-Blanc chain, the Grands Montets, high altitude north-facing slopes which dominate the village of Argentière and the Balme area, wide open slopes at the top of the Chamonix valley, bordering on Switzerland. The sister resort of Les Houches lies at the opposite end of the valley and is accessible with the Mont-Blanc Unlimited ski pass. Skiing Chamonix also has three smaller valley ski areas, ideal for children, beginners. The pistes on The Grand Montets are spread over 3 mountainsides, the Argentière glacier, Lognan and the Pendant and offer tremendous on and off-piste skiing. Ski or board adjacent to the glacier and take advantage of excellent snow conditions right up until early May. There is also a snowpark at the mid-station of Lognan. Brévent and Flégère ski areas have been linked by a cable car since 1997 and offer one of the most outstanding panoramas of the Alps. South-facing slopes with a wonderful variety of pistes and enviable views over the Mont-Blanc Massif. Les Houches situated 6km down the valley from Chamonix, offers tree-lined pistes and delightful cafes and mountains restaurants. 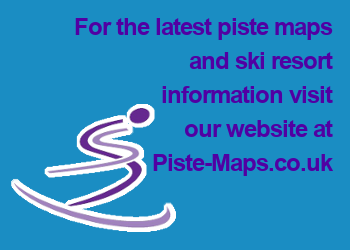 Just 2 minutes from the centre of town, large ski area for beginners and intermediate skiers with 4 runs (1 red, 1 blue and 2 greens). 41 snow canons guarantee conditions all winter long. Restaurant, sun terrace and free parking. Located at the foot of Charamillon on the Balme ski area, these sunny slopes are ideal for beginners. Situated at the entrance to Argentiere, just 500m from the Lognan/Grands Montets cable car, ideal ski area for beginners. In the heart of Chamonix, at the foot of the Brevent, 2 drag lifts and a rolling carpet welcomes beginners. The Valley Blanche, accessed via the Aiguille du Midi cable car and offering several variants: the normal Valley, the Petit Envers du Plan or the Grand Envers du Plan. This glacial route is very popular in early spring, but it is a high-mountain itinerary and the presence of a mountain guide is strongly recommended.